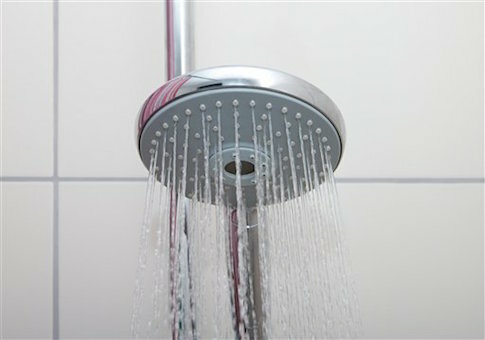 The Environmental Protection Agency (EPA) wants hotels to monitor how much time its guests spend in the shower. The agency is spending $15,000 to create a wireless system that will track how much water a hotel guest uses to get them to "modify their behavior." "Hotels consume a significant amount of water in the U.S. and around the world," an EPA grant to the University of Tulsa reads. "Most hotels do not monitor individual guest water usage and as a result, millions of gallons of potable water are wasted every year by hotel guests." "The proposed work aims to develop a novel low cost wireless device for monitoring water use from hotel guest room showers," it said. "This device will be designed to fit most new and existing hotel shower fixtures and will wirelessly transmit hotel guest water usage data to a central hotel accounting system." The funding is going toward creating a prototype and market analysis for the device. The goal of the project is to change the behavior of Americans when they stay at hotels. "This technology will provide hotel guests with the ability to monitor their daily water online or using a smartphone app and will assist hotel guest in modifying their behavior to help conserve water," the grant said. The project was filed under "Water conservation," "Urban water planning," and "Sustainable water management." The EPA also has a WaterSense program that challenges hotels to track their water use and upgrade their restrooms with low-flow toilets and showerheads. The program also encourages "linen and towel reuse programs" in guest rooms. The EPA is concerned that the average shower, which lasts just eight minutes, uses 18 gallons of water, and has asked Americans to reduce their shower length by at least one minute. Tyler W. Johannes, Ph.D., an associate professor in the University of Tulsa’s School of Chemical Engineering who is working on the project, told the Washington Free Beacon that the researchers hope to see the technology "adopted by all major hotels and used across the country." He said the device seeks to get hotel guests to limit their showers to seven minutes as a start. Johannes and his team assumed the average hotel shower lasts 8.2 minutes, using 17.2 gallons of water per guest per shower. "Initially our device/app seeks to get hotel guests to reduce their water use by 10 percent or to reduce their showers by about one minute," he said. Johannes provided a link to Home Water Works, which recommends taking a five minute shower to reduce water use. The website, which is a project of the Alliance for Water Efficiency, also suggests watering plants with discarded cold water from showers that take a long time to heat up, and taking "navy showers." "The method requires three steps: 1) turn on water to rinse body and hair; 2) turn off water while shampooing hair and washing body with soap and washcloth; 3) resume water flow and rinse off all shampoo and soap," the group said. "Using this technique, the total duration of water flow can easily be reduced to 5 minutes or less." Following publication of this story, EPA deputy press secretary Laura Allen, said the "EPA is not monitoring how much time hotel guests spend in the shower." "Let us be very clear, EPA is not monitoring how much time hotel guests spend in the shower," Allen said. "As part of the People, Prosperity and the Planet (P3), a student design competition for sustainability, students at the University of Tulsa are conducting research to develop a novel low-cost wireless device for monitoring water use from hotel guest room showers. The marketplace, not EPA, will decide if there is a demand for this type of technology. It’s ultimately up to hotels to use technology like the monitors being developed at the University of Tulsa. EPA is encouraging creativity with water conservation efforts." This entry was posted in Issues and tagged EPA, Government Spending, Government Waste. Bookmark the permalink.